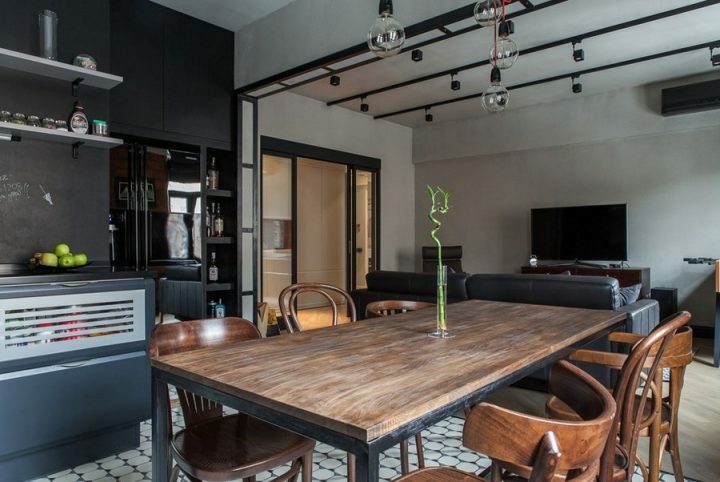 Hearing the words “bachelor pad” is enough to conjure up quite specific mental images – and, let’s be frank, for many of us these are not particularly inviting ones. I think it’s safe to say that we all have that one friend or acquaintance whose living arrangement puts the creep into the concept of bachelor pads – whether its because you need to wade through randomly discarded (worn) clothing just to get from the door to the sofa (usually the only religiously free-of-anything space to be found), the fridge you’re afraid to open for fear of accidentally becoming the adopted parent of a surprisingly sentient box of Chinese take-away, or because of the bathroom that makes you wonder which hitherto unknown disease might be lurking under that mouldy towel in the corner. 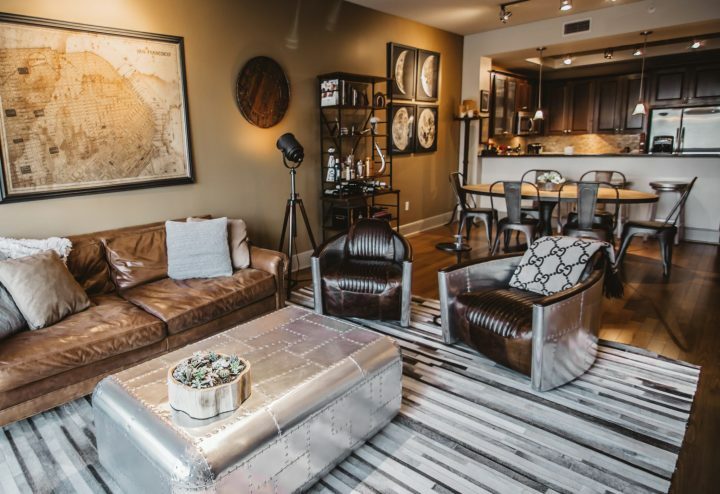 The good news is – that is what just a minority of bachelor pads look like (even though the images invariably stick to the forefront of our minds!). 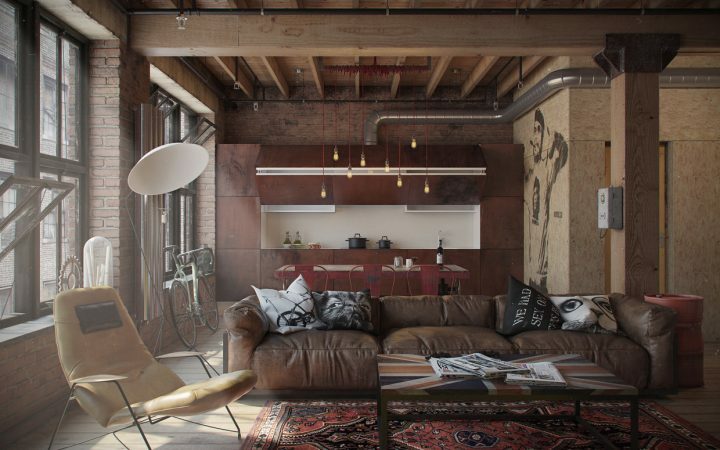 Way more often these days, bachelor pads are a stylish oasis of tasteful masculinity and clever use of technology. And that is how it’s supposed to be! And we’re here to help you create an awesome space of your own! No matter if your very own bachelor pad is located in a glorified man-cave, or spans the whole upper floor of a building, there is no reason to live in tasteless chaos just because you’re a bachelor (and let’s face it – neither your friends nor the ladies are impressed with fighting through layers of grime, dust, and old pizza boxes just to be able to sit down for a moment). Chose your preferred style, preferably before actually setting out to buy paint, furniture, and decorations. 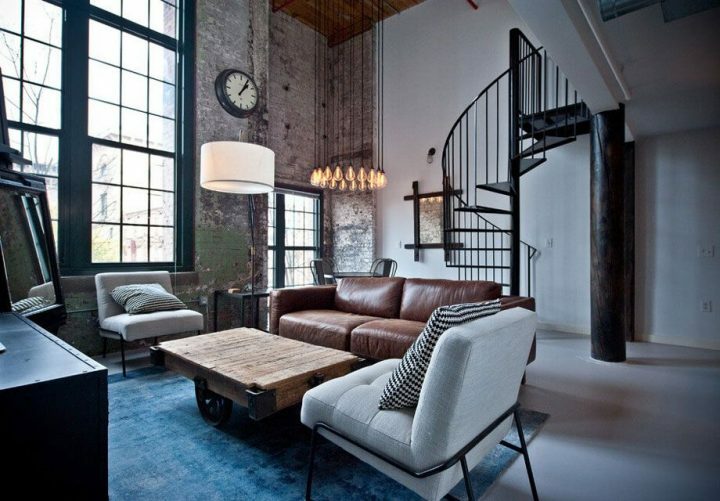 Some of the most common styles are industrial (with a lot of exposed beams, bare brick, visible plumbing, etc. ), clean (with reduced, modern furniture and clear lines), or artsy (here, everything goes – large artwork, wall-murals, sculptures, bold colours, whatever speaks to you). 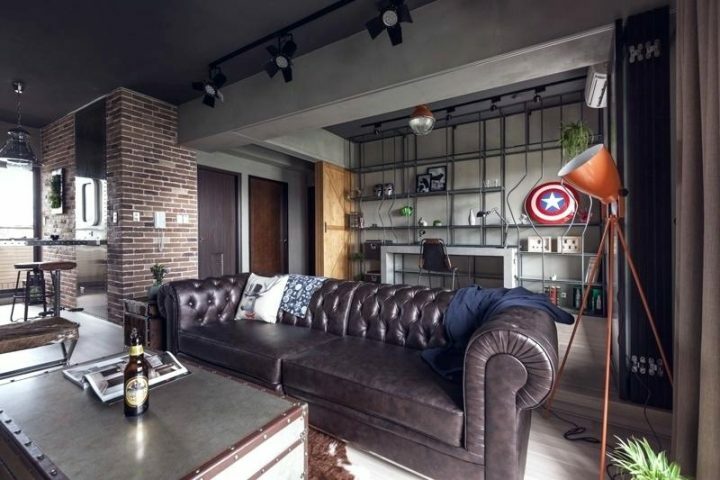 And then, there’s the all-encompassing geeky style that can mean anything from a nod to your favourite superheroes to a fully high-tech smart home. As a rule, we suggest finding a colour palette you like and sticking with it! You can -of course- add in a few splotches of different colour, but in general, its easier to create a colour-theme and stick with it to create an overall feel of planned unity. Most importantly: go for good quality fabrics! Nothing is more off-putting than cheap faux leather, plastic, and scratchy fabrics (and yes, that goes for bed linens and towels as well!). Also, textures are a great way to bring an additional twist to your chosen colour palette – work with unusually looking or feeling materials and create focal points by incorporating something surprising in your home’s design. We have two words for you: Sectional sofa! 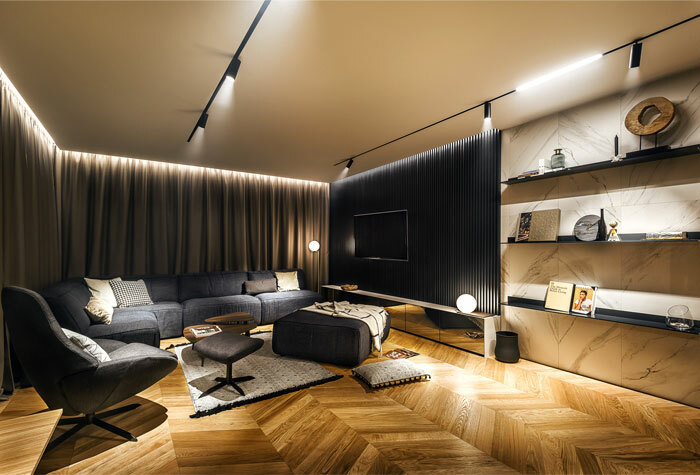 In your bachelor pad, you will want enough space to comfortable entertain people, settle in for long nights talking, kicking back and relaxing, or simply enjoy a good glass of wine at the end of the day. Speaking of wine, having a bar of some sorts is a staple of the quintessential bachelor pad. We suggest you go for custom made bar cabinets, uniquely designed wine racks, add a wine cooler to your kitchen nook, and/or invest in a vintage bar cart. As an adult, with adult acquaintances, its highly likely that you or your friends will want to enjoy a good glass of wine, a nice long drink, or a stiff glass of whiskey at the end of the day at some point, so why not do it in style? Put an end to eating standing up or in front of the TV right now! Some snacks on the sofa are quite a-okay, but full meals belong onto a dining table. On the subject of tables, don’t forget a spacious coffee table to complement your sofa! You might not think you need one, but you do. And no, it does not necessarily have to be a traditional one! Whatever form it takes, a good quality, sturdy coffee table can hold everything from remotes and temporarily discarded magazines to your glasses and even feet (should you feel like propping them up). Don’t forget to plan in plenty of storage space! 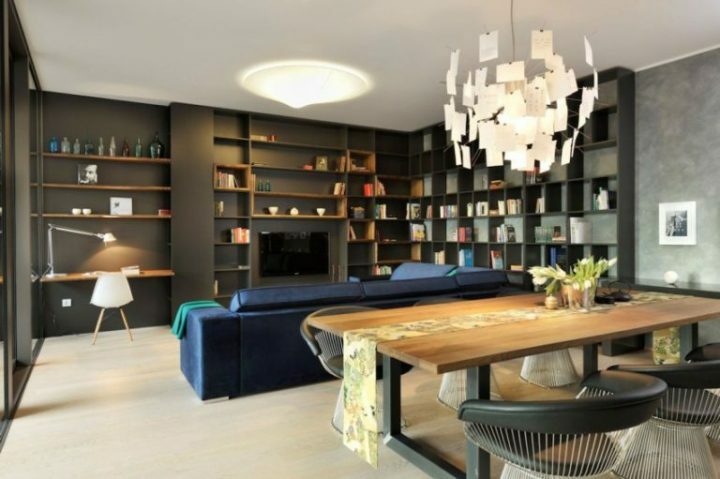 Floor-to-ceiling bookshelves are a looker and can house much more than just books. For example, use wooden crates, baskets, or even old (but good-looking!) boxes to store away the things you don’t want or need to have on display all the time. Yes! You’ll need one of those, too. Don’t store your clothes on open shelves, don’t improvise and think a coat hanger is all you need to keep your shirts from creasing and the rest is just fine stacked on the floor. A wardrobe, or if you’re really against the idea, a chest of drawers and a clothing rack for those items that need to be hung up, are those pieces of furniture your bedroom NEEDS (apart from a good bed, obviously). That being said, remember to not shy away from unusual solutions, either! And if you have the space to spare, why not create a walk-in closet? 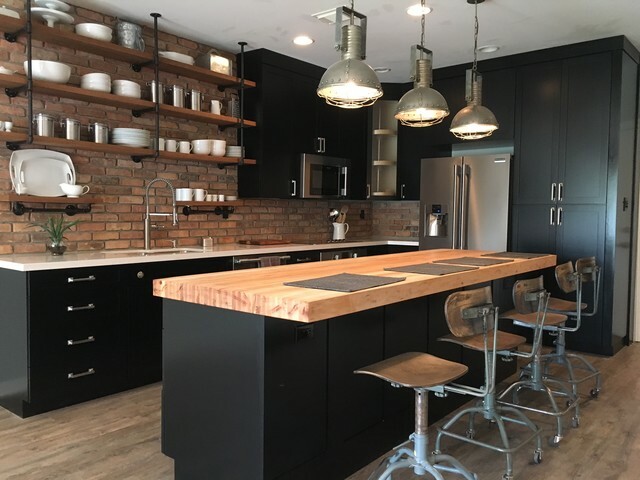 We’re sure you have heard the saying that the kitchen is the heart of a home before – This is doubly true for a bachelor pad! Go for easy-to-clean surfaces, as much storage space as you can fit in, and don’t go overboard with appliances (but don’t restrict yourself too much either! Having a microwave and toaster are fine, but those two and a single stove top do not a kitchen make!). Then add a masculine twist to your kitchen by installing magnetic knife strips and wall or ceiling-mounted pot hangers. 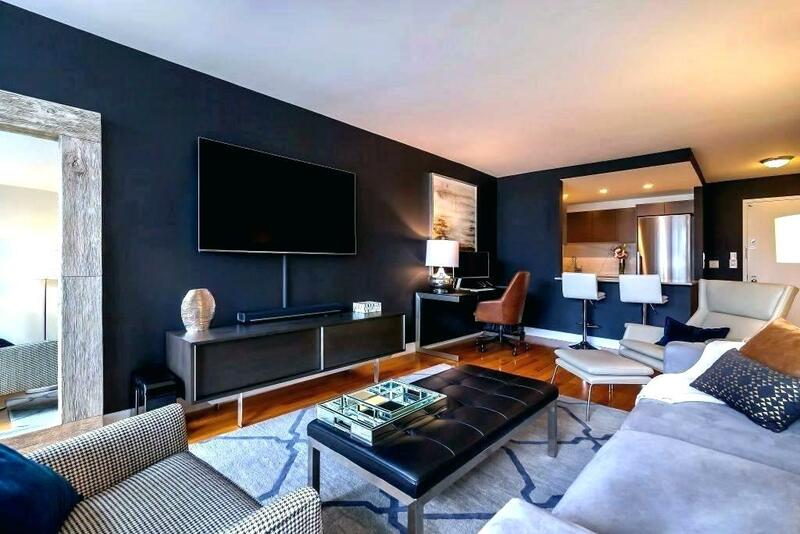 And while we appreciate a decent-sized TV for binge-watching the latest season of our favourite show, or to follow our team’s games, it really doesn’t have to be a monstrous wall-mounted screen that costs more than all other furniture combined. Scale back a bit in size and invest in tasteful TV furniture instead! This way your entertainment system looks a lot more sophisticated, and it comes with the added benefit of providing ample storage space for gaming consoles, DVD player, and whatever else you might want to connect to your screen. 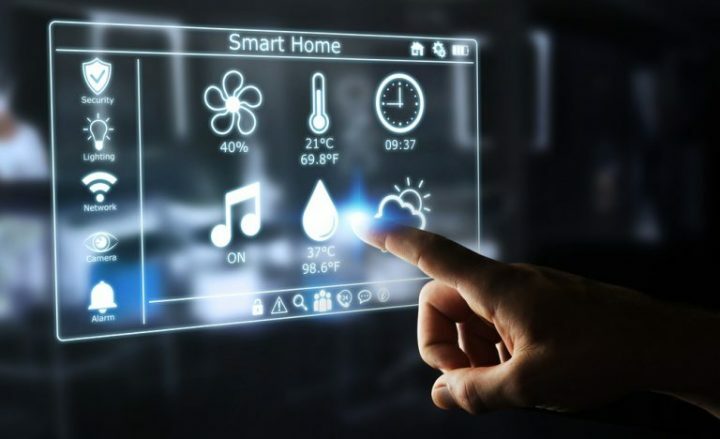 From app-controlled lights and window shades to smart temperature control or even intelligent kitchen appliances and smart locks, everything goes! Figure out what you’re likely to use to make your life easier, find products and providers you feel enthusiastic about, and install to your heart’s content! Don’t just stick with your regular power outlets, but install USB power outlets instead. 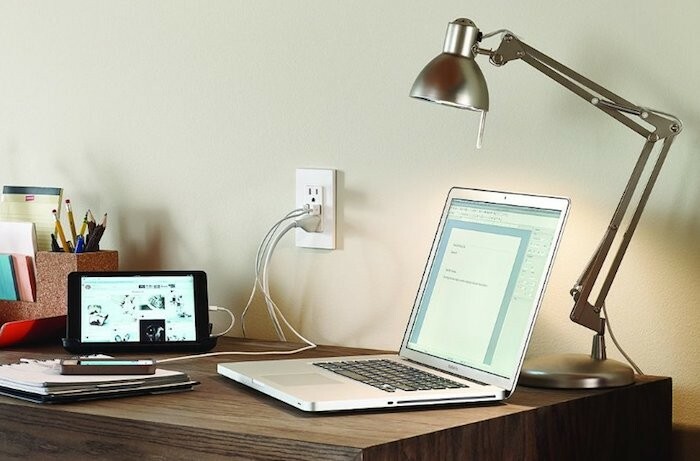 At least at some choice places in your pad you will want to be able to easily charge your phone and tablet or use USB powered gadgets without having to constantly root around for an adaptor or an empty socket. 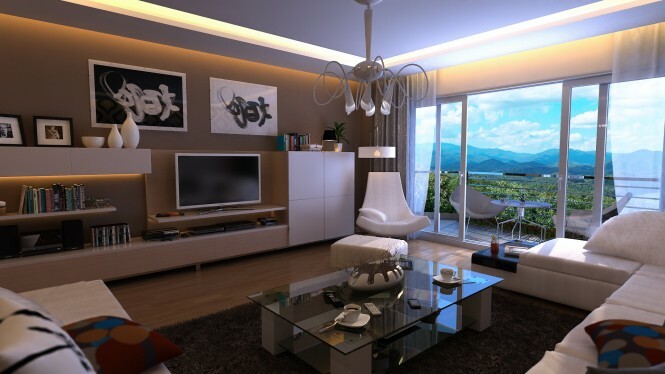 The top-most credo of decorating your bachelor pad is to not end up with your home looking bare and empty, but you don’t want to bury all that space under tons of unnecessary clutter either! 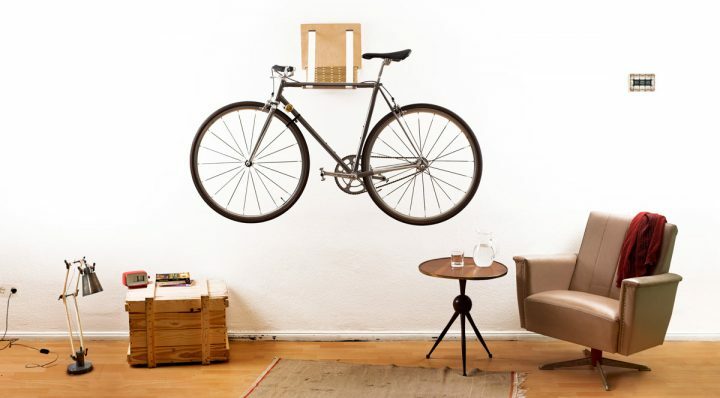 You have a sizeable space of bare wall but no idea where to store your bike? Wall-mount it! The same principle holds true for many objects and necessities of daily life! If you’re short on office space, but need to work from home every now and then? 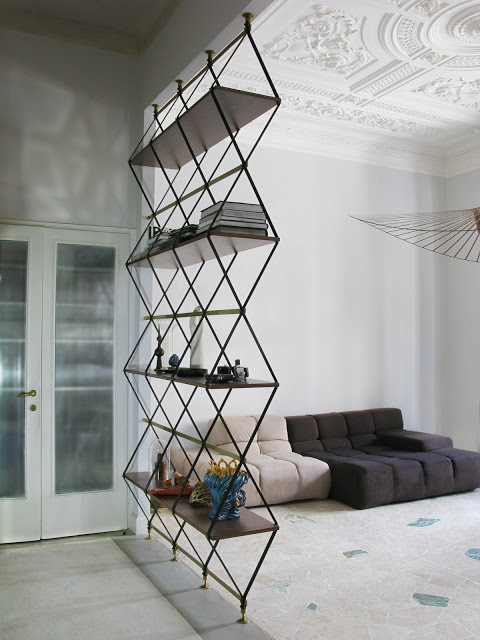 How about a stylish DIY folding table that’s mounted on thick ropes? 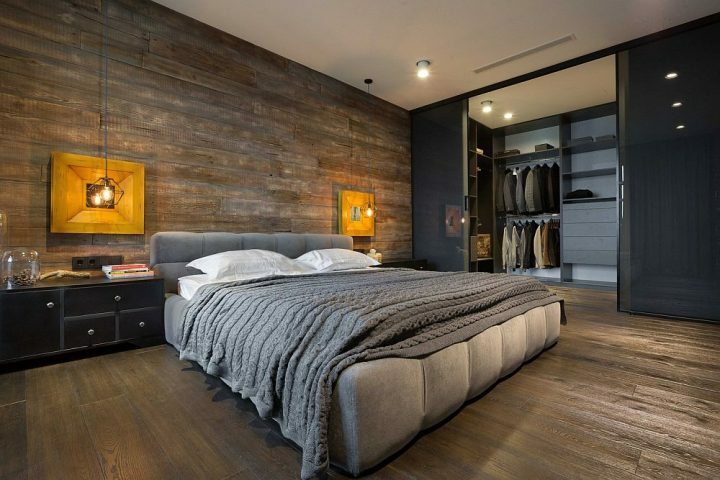 Your bedroom is too small for a large wardrobe without completely cluttering it up? 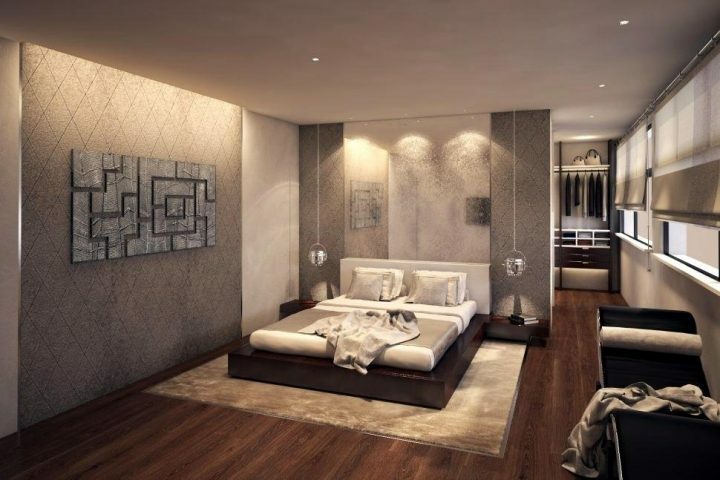 Think about having a platform bed or any other bed type that provides storage space under it. Alternatively, you could look into loft beds. There’s no easier way to create a stylish home than by employing basic geometric forms and patterns. 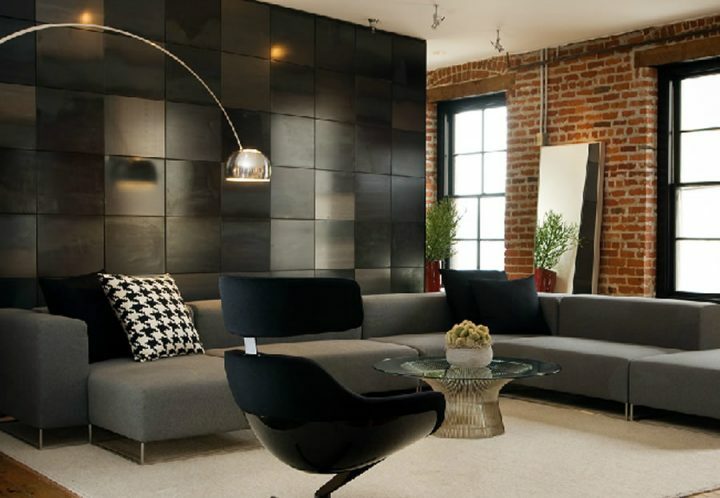 Whether you chose furniture with accentuated geometric designs, or go for geometric, bold and large-scale artwork on your walls, or both, you will instantly see the appeal. There’s hardly anything more masculine than tastefully employed leather accents. If they’re used sparingly!!! A classic chesterfield is appealingly tasteful, you can’t go wrong with a leather recliner or ottoman, and even a chaise lounge becomes an instantly manly piece of furniture when it is made out of good quality leather. Pick one or two key pieces, and you’re safely on the tasteful side. We suggest trying to lay your hands on true vintage furniture, but there are quite a lot of contemporary retro-designs available that look just as classy. 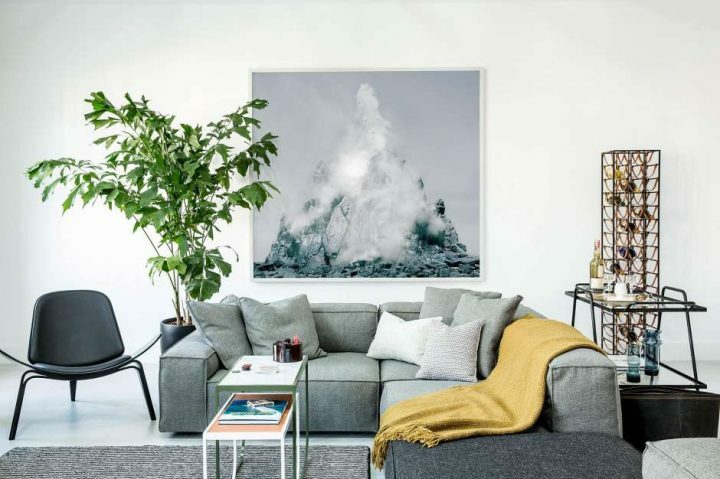 And finally, whether you’re an avid music fan, enjoy art, or love to embrace your geeky side, let your bachelor pad reflect what you’re enthusiastic about! Wall-mount a selection of your favourite LP’s, display some stunning contemporary artwork, or pay tribute to your fandom! Don’t hide away what you love and who you are!